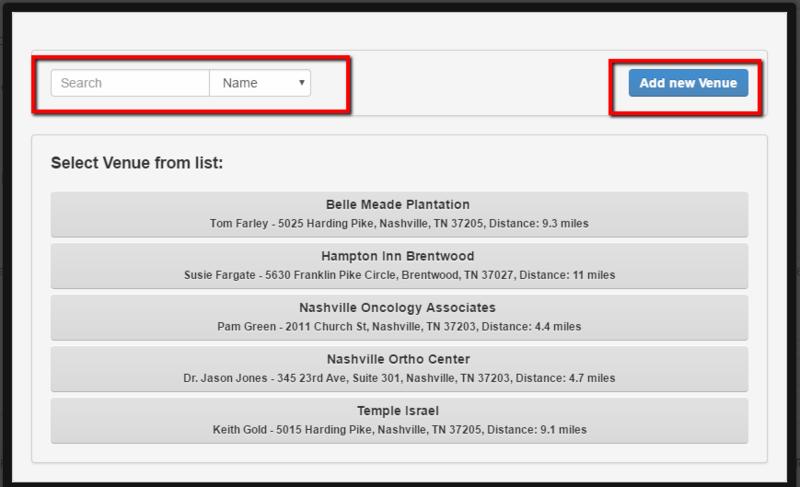 This article will go over how to use the venue manager list while taking an order under the order entry tab. To learn how to add a venue to the venue manager list please see that article. Using the venue manager list while taking an order will save time when using a location that is delivered to for more than one customer. This beneficial for Churches, Banquet Halls, Doctor Offices, Hotels, Bridal Venues and etc. 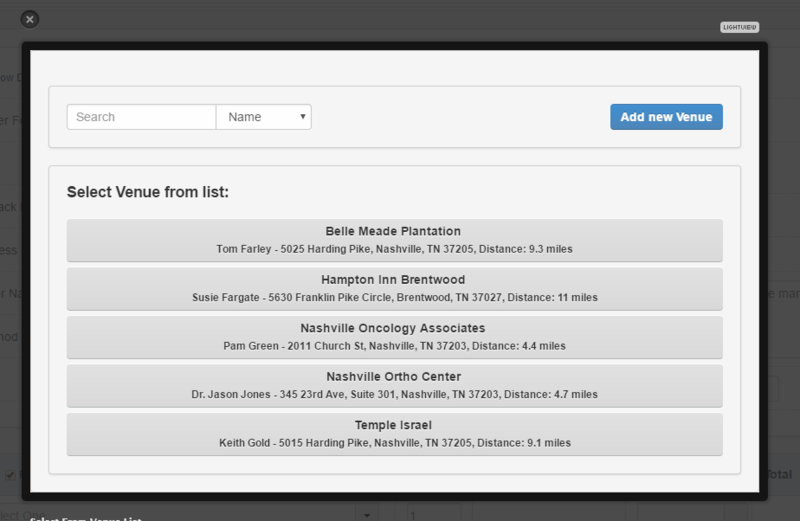 1 - Click on the Order Entry tab and start to fill in the client's information. 2 - Under the Delivery Address click on the Drop Down Box to see the list. 3 - The list of all Address and Venue Addresses will appear. 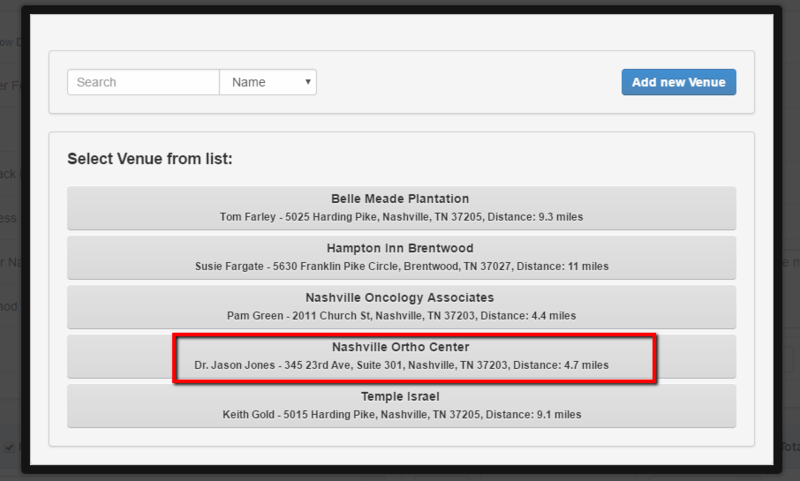 4 - You will then click on the Select From Venue List. 5 - A pop up box will appear with a list of Venue's that have been added. 6 - Note you can Search for a venue or you can Add a new venue to the list. 7 - Once you see the venue you want to select click on the Venue Name. 8 - The Venue's Information will now appear in the order and you can continue to take the order. 9 - Any special instructions and delivery instructions that you have added to the Venue will appear automatically in the order. You have now learned how to use the Venue Manager list while taking an order.